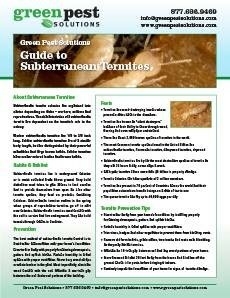 Eastern Subterranean Termites are the most common form of termites found in Pennsylvania, and they are the most economically important wood destroying insects in the United States, causing billions of dollars in damage each year to homes, historical structures, and commercial buildings. They are social insects, living in colonies, sharing resources, and dividing labor based on a “caste” system. Swarmers! This is generally the first sign the homeowner will see to alert them to a termite issue at their property. Swarming mainly occurs when temperatures become warm, normally between February to April. 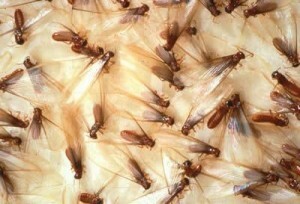 Termite swarms may take place inside or outside of a home as mature termites leave the nest to start new colonies. Soon after swarmers take flight, they shed their wings. You may find small piles of wings in spider webs and on surfaces around your home’s foundation, like window sills. 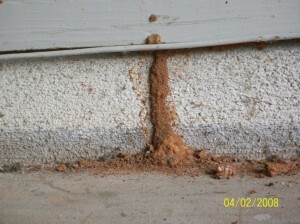 Termite swarmers do not cause structural damage; they are only capable of spreading the colony. However at the rapid rate that they reproduce, they should still be considered a threat to the property they are infesting as their offspring are the worker termites that will eat and destroy the wood in your home. Worker termites perform most of the labor in the colony. They forage for food, excavate, repair, and build galleries and mud tubes, and they aid in the defense of the colonies. Another commonly seen sign of a termite infestation is the presence of mud tubes. Termites need moisture to survive, so they will create mud tunnels to travel back and forth outside of the colony to gain access to wood and to forage for food. These tubes are usually between ¼ to 1 inch wide, and they are generally found in basements, the outside foundation of a home, or protruding from cracks between boards and beams. Keep all wooden parts of the home’s foundation at least 6 inches above the soil. If you think you may have a termite infestation or if you have any questions, give Green Pest Solutions a call at 877-636-9469. We are more than happy to answer any questions you may have or schedule you for a free inspection with one of our knowledgeable pest control specialists!